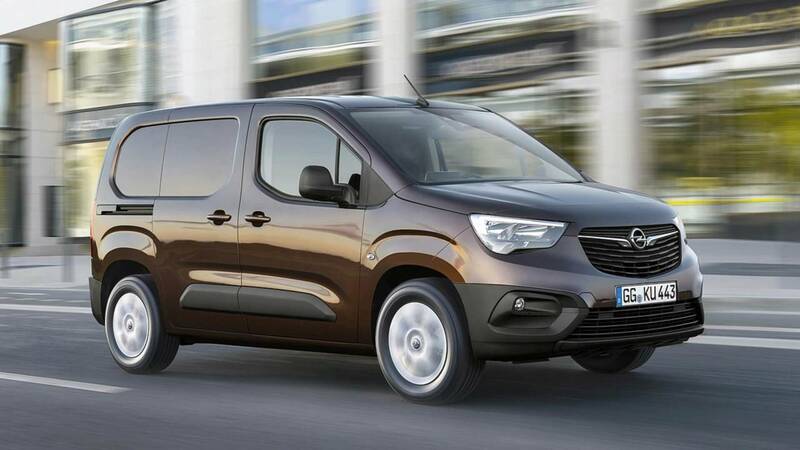 After unveiling the family-oriented Peugeot Partner, Citroën Berlingo, and the Opel Combo Life several months ago, the PSA Group is now introducing their more utilitarian counterparts. The three light commercial vehicles are embracing a new generation bringing some pretty big design changes inside and out, along with more practicality than ever before. Starting off with the Peugeot Partner, it gets the company’s i-Cockpit adapted for LCVs and aims to offer superior visibility thanks to a camera at the base of the passenger side mirror and another one at the top of the rear doors. The footage grabbed by the pair of cameras is shown on a five-inch screen positioned where the interior rearview mirror usually sits. The 2019 Partner features something called an overload alert, which refers to a white LED that lights up once 90 percent of the total load capacity is reached. Should the maximum authorized load be exceeded, a yellow LED is automatically activated and is accompanied by a visual warning on the dashboard. The standard 4.4-meter-long Partner offers a usable length of 1.81 meters, but if you need more, the 4.75-meter-long variant has a usable length of 2.16 meters. Payload varies between 650 and 1,000 kilograms depending on version, while the most efficient versions of the Partner can carry as much as 600 kg. Peugeot will have the revamped Partner on sale in international markets from November. 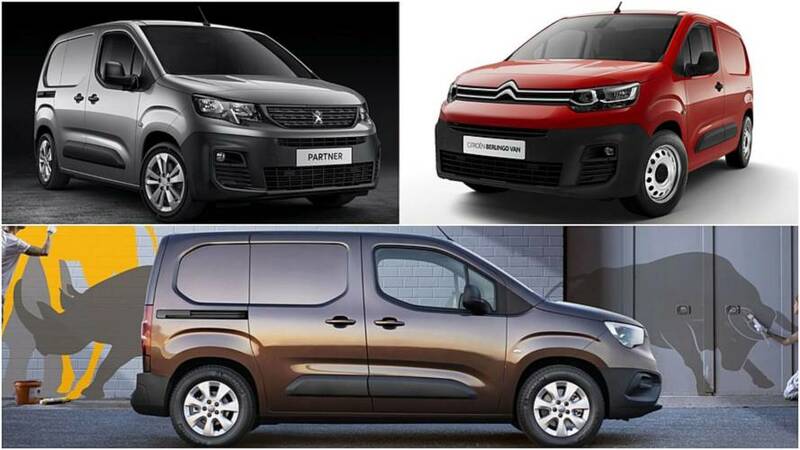 Moving on to its French cousin, the new Citroën Berlingo has reached its third generation and unsurprisingly it’s offered in exact same length versions (M and XL). Maximum payload stands at 1,000 kg and there are “Worker” and “Driver” versions featuring different ground clearances, equipment levels, and engine protection. 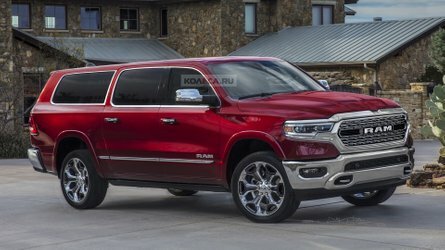 Depending on what you need, there’s a Crew Cab model with up to five passengers on both front and rear seats along with an Extenso Cab accommodating three people in the first row. With up to 20 driver assistance systems available, the Berlingo is safer than ever before and also comes with an overload indicator like the Partner. 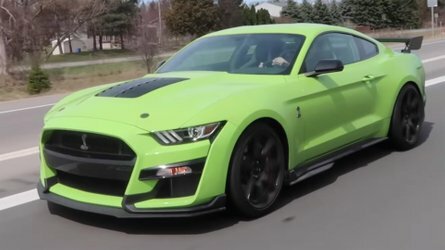 Tech features include everything from adaptive cruise control (with stop function) to a color head-up display, while wireless smartphone charging and grip control are also available. The company with the double chevron logo is already taking orders for the 2019 Berlingo and will launch it towards the end of the year. As far as the Opel Combo is concerned, the fifth generation gets the same regular and long versions as the other two PSA vans, and an identical maximum payload of 1,000 kg. That handy overload indicator is also available, as is an array of safety tech and driver assistance systems. As it’s the case with the equivalent Peugeot and Citroën vans, the new Combo also gets a pair of rearview cameras mounted in the same location to improve visibility and reduce the risk of an impact while reversing. At an additional cost, Opel will sell its new LCV with an optional roof hatch for extra practicality. Sales of the fifth-generation Opel Combo are slated to kick off in September when the LCV will receive its proper debut at the IAA Commercial Vehicles in Hannover. Technical specifications and other details are available in the press release area below. Rüsselsheim. Opel announces the 5th generation of its compact, multifunctional commercial vehicle, the Combo. The new Combo cargo van has been developed with the ambition of offering top efficiency to professionals and the lowest cost of ownership in the segment thanks to an all-new architecture, ingenious packaging and unique technologies while simultaneously representing a huge leap compared to outgoing version. With its world premiere scheduled to take place at the IAA Commercial Vehicles in Hannover on September 19, 2018, and available to order from September, the new Combo offers a wide range of variants to choose from including a short version with 4.40 metres length, a long version with 4.75 metres, both with cockpits featuring two or three front seats, and a spacious five seater crew cab. Opel’s new compact transporter also outshines most of its main competitors with a load volume of up to 4.4m3, a payload of up to 1,000 kg and a loading length of up to 3,440 mm for objects and work material. Decisive for many professionals, an especially ingenious feature is that the distance between the two wheel arches is wide enough to enable the loading of Euro pallets, two of which can even be accommodated in the cargo space of the short version of the Combo. And extremely long utensils such as wooden planks can be stowed at an angle thanks to the optional roof hatch. And, a unique feature in the segment is also introduced in the new generation Opel Combo: a sensor-based overload indicator that, at a press of a button, allows the driver to make sure the vehicle is not overloaded. In addition, the new Combo comes with further innovative technologies and up to 19 assistance systems that make driving, manoeuvring, transporting goods or a crew easier, safer and more comfortable. The optional Permanent Rear View Camera1, acts as a “digital” rear view mirror - greatly improving visibility of panel vans or of fully loaded vehicles. Furthermore, a second camera in the exterior door mirror on the passenger side ensures that the driver no longer needs to worry about the blind spot on this side of the vehicle. 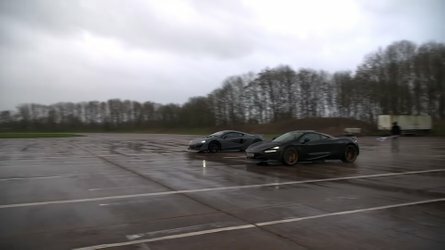 And, the new Combo can also be equipped with the new, sensor-based Flank Guard system that helps prevent annoying and expensive bumps or scratches while turning at low speeds, warning the driver when there is a risk that a flank of the car will collide with an obstacle (pillars, barriers, walls or other vehicles). Those professionals whose workplaces require enhanced traction in mud, sand or snow can also upgrade their front-wheel drive Combo with the electronic IntelliGrip traction control system and with the “worksite” set-up. This includes an increased ground clearance of 30 mm, front and rear stiffness antiroll bars, increased tyre diameter and rear variable rate springs. And the optional ultra-modern Apple CarPlay and Android Auto infotainment systems ensure that drivers easily find their way to and from even the most remote locations. “The Opel Combo is the ideal working companion and almost no job is too big for it thanks to its best-in-class load volume. In addition, it comes with ultra-modern technologies previously only known from the passenger car segment. This makes the Combo a commercial vehicle with proven passenger car qualities in terms of driver assistance, safety and comfort – an all-rounder in the best sense of the word,” said Managing Director Sales & Marketing Peter Küspert. The Combo nameplate has been a synonym for compact, multifunctional transporters for professionals over 4 generations since 1987. The first generation was based on an Opel Kadett, the two next on the Corsa models of the time and the fourth was the result of a joint-venture with Fiat. The new, fifth generation has been developed on a completely new architecture within Groupe PSA, the undisputed European leader in the commercial vehicle business. Therefore, it is no surprise that it comes as the most competent vehicle on the market place. a 4.40-metre long short version with a wheelbase of 2,785 mm, payloads of up to 1,000 kg and a cargo volume of 3.3 to 3.8 m3, in which utensils with a length of up to 3,090 mm can be stowed easily. Those who need to transport even longer item can order the Combo with rear swing doors and the useful roof hatch. The latter enables the transport of items weighing up to 100 kg at an angle without having to leave the rear door open. a 4.75-metre long XL variant with a wheelbase of 2,975 mm and a load volume of up to 4.4 m3, that can even take working equipment with a length of up 3,440 mm. Being able to easily load bulky items through the rear doors with a low loading edge of just 557 mm is another major advantage. There is enough space between the wheel arches for a forklift to load two Euro pallets, even into the shortest Combo. And safety has also been taken into consideration: Six tie rings on the floor and a further optional four fitted at mid-height help keep everything in its place. An important safety feature, the so-called overload indicator1 is new to Opel. The system automatically measures the mass present on board upon starting up the engine. Alternatively, the driver can ask for the sensor-based system to measure the load on the axles by pressing a button. A white LED signal lights up if the weight exceeds 80 per cent of the permitted payload. If the weight is above the limit, an orange signal with an exclamation mark lights up. The new Combo also offers a solution for transporting people and equipment with the crew cab version. A crew of up to five including the driver can sit in comfort while the working material is safely stowed behind the partition wall. In addition, the rear bench can be folded down and the partition moved behind the front seats if required. A flap in the partition ensures that especially long items can be transported. When it comes to the loading area, the Combo is an out and out commercial vehicle but it also offers cutting edge technologies unique in the segment, and a level of comfort for the occupants directly inherited from the Combo Life passenger version that went on sale in early June. Innovative assistance systems such as the Permanent Rear View Camera1 ensure outstanding visibility and make the drive more relaxing. Everybody who has driven a transporter knows that looking through the rear view mirror can be challenging - or even impossible in case of a fully loaded vehicle or a full panel van: in these cases, the car has to be driven via the exterior door mirrors. This is not applicable to the new Combo. It can be equipped with a Rear View Camera that shows the area behind the car on the infotainment screen. On one hand, it facilitates manoeuvring via guidelines as soon as reverse is selected. On the other hand, when driving forward, it displays an area from 4 to 30 metres behind the vehicle and can thus be used as a permanent “digital” rear view mirror. A second camera1 fitted in the exterior door mirror on the passenger side further improves the overall view. As soon as the passenger side indicator is activated, the passenger side view is shown on the monitor, resulting in a major increase in safety for all road users as a blind spot is almost unheard of for Combo drivers. Last but not least, the new generation of infotainment systems ensures outstanding on-board connectivity. The Apple CarPlay and Android Auto compatible Multimedia Radio and Multimedia Navi Pro systems can easily be controlled via the prominent 8-inch colour easy-to-read, easy-to-reach touchscreen. The integrated navigation system of the top-of-the-line unit with European maps and 3D navigation also shows TMC (Traffic Messaging Channel) updates, thus ensuring that drivers can always select the perfect route to get to their customers and avoid traffic jams. And, as there is nothing like enjoying comfort before or after work with the heated front seats, the heated steering wheel – unique in this segment and typical Opel – and the comfortable rear bench. And occupants can keep a cool head even on the hottest days thanks to the dual zone climate control. Just like its passenger car sibling, the Combo will be able to draw upon a range of lively and efficient engines combined with modern transmissions. Together with first-class load volume, comfort levels similar to those in passenger cars and extensive on-board entertainment, they make the new Opel Combo an ideal and general purpose commercial vehicle for much more than just working life. NEW CITROËN BERLINGO VAN: DESIGNED FOR ALL USES AND DEDICATED TO COMFORT! Launched in 1996 and produced in over 1.5 million units, the iconic Citroën Berlingo light commercial vehicle, dedicated to professionals, is now available in its third-generation version, called Berlingo Van. As with the passenger-car version, already available to order, New Berlingo Van makes a true generational leap in terms of styling and equipment. Robust and fully consistent with the Brand’s identity, it gains new features for extra comfort and modularity.Designed for all uses, and adapted to all professions, the new model is available in 2 sizes, M and XL, and becomes closest to customer needs with 2 versions “Worker” and “Driver” according to philosophy and use thanks to their ground clearance, equipment levels or protection components. Efficient with its large load volume, easy access and numerous cabin configurations, including the Extenso® Cab or the Crew Cab, it is the ideal partner for all professionals. New Citroën Berlingo Van is built on a new platform for better handling, more comfort and more security. Charting new territory in its segment, it is equipped with 20 driver assistance systems and 4 connectivity technologies together with latest-generation engines including the new BlueHDi 1.5 diesel, the PureTech 1.2 petrol and the EAT8 automatic gearbox. New Berlingo Van will be launched in late 2018. With New Berlingo PC (particular vehicle) arriving in dealerships this summer, the Citroën brand is unveiling today the third-generation LCV version of Berlingo intended for professionals, New Berlingo Van. A commercial vehicle market in which Citroën achieved 9.7% market share in 2017 in Europe and is positioned in third place on the podium, with almost 73 000 units. The brand’s legitimacy in small vans is underpinned by its pioneering past in the segment, having launched the legendary 2CV, C15 and Berlingo, as well as having introduced the first diesel, the first model with integrated load cell, and the first model with three front seats. Building on this strong heritage, New Berlingo Van marks the renewal of a best-selling vehicle. A benchmark in “practical sense” for professionals, Citroën Berlingo is a key player in its segment that has successfully innovated over the years. Since launch, it has been produced in over 1.5 million units worldwide, over 1.3 million of which in Europe and over 470,000 in France. An essential model, Berlingo enjoyed a record year in 2017 in France with over 27,000 registrations, up 4% on 2016. Today still, with already over 8,000 registrations, up 25% in first-quarter 2018, Berlingo alone accounts for 40% of Citroën’s LCV registrations and stands as the Brand’s top-selling LCV. Full of ambition, New Berlingo Van intends to continue its success story in its third-generation version, set for launch at the end of 2018. Having invented the van model with integrated load cell, Citroën is continuing its story with a van that is more modern than ever. New Berlingo Van possesses a unique body design and robust styling for all professionals. The new model has a robust and protective attitude. The body styling has changed, with a more forward-set windscreen and a higher and shorter front end, achieved notably through the adoption at the front end of the EMP2 platform, making for a shorter front overhang. A singular front end ensuring extra protection and consistent with the Citroën brand’s identity and its big brother, Jumpy. Flowing body styling featuring consummately worked sides and a functional appearance at rear. An interior designed for professionals that adds solidity to practicality, in particular with a clean and airy dashboard equipped with numerous useful in-car technologies. “Inspired by Pro” to be the ideal partner for professionals, New Citroën Berlingo Van builds on its strong points and provides a solution adapted to each profession. It becomes closest to the customer needs, by offering a 2 special “Worker” and “Driver” versions which differ from philosophy and uses thanks to their ground clearance, engine protection and equipment levels. Versatility and modularity are illustrated by: an Extenso® Cab for seating three people in row 1 and a modular Crew Cab for transporting up to five passengers in rows 1 and 2. It features the most intelligent design for simplifying everyday life, with an excellent rear access via swing or panel rear doors, sliding doors, useful storage spaces and a record payload of up to 1,000 kg, maintaining the same width between wheel arches (1,23m) for the easy loading of europallet. Suspension settings benefiting from all of Citroën's know-how for peerless comfort. A new platform designed to provide the most adapted response: harnessing Citroën’s finest know-how, the new model is enhanced with the new EMP2 platform at the front for improved handling and latest-generation technology. An exceptional amount of technologies for the segment, with 20 driver assistance systems that make everyday life easier including an Overload indicator and the Surround rear vision system, both of them firsts in the LCV segment, all categories combined, as well as a Colour Head-up display, an Electric parking brake, Adaptive cruise control with a Stop function, and the Active Safety Brake system, as well as 4 connectivity technologies including Citroën Connect Nav and wireless smartphone charging. Latest-generation engines strong on performance and efficiency: BlueHDi 1.5 diesel, PureTech 1.2 petrol, and the introduction of the EAT8 automatic gearbox. Citroën’s story in the small van segment began at the beginning of the 20th century. Berlingo comes from a long line of models initiated in 1928 with C4 Fourgon with its all steel bodywork and its two hinged rear doors. Then in 1950 was the famous 2CV Van, a 100% LCV version of the legendary 2CV. The compact van started life with all the advantages of a practical and economic vehicle and would go on to become one of the greatest successes in its category. The pioneering model, now a collector’s item around the world, will go down in history as the first mass-produced front-wheel-drive van. Produced from March 1951 to March 1978 in 1,246,335 units, it stands as a truly iconic model. 2CV Van was replaced by Acadiane in 1978. The van was restyled and gained the front end of Dyane. Acadiane was produced in 235,393 units in nine years. The real breakthrough occurred in the 1980s with a new model, Citroën C15. After the small, two-cylinder engines on the 2CV and Acadiane, the new model launched in 1984 was powered by a water-cooled four-cylinder powerplant. Derived from the Visa launched in 1978, the famed model, perceived as a true professional tool, went on to enjoy a long career. It was produced until 2006, some ten years after the launch of Berlingo! Its reputation for toughness and solidity made it a leading light in its segment. Sales were also boosted by the range of diesel engines on offer. C15 alone sold in over 1.18 million units produced over a 22-year period. The next great revolution of the end of the 20th century was Berlingo! The first generation launched in July 1996 once again disrupted the segment by providing more distinction and comfort. Berlingo innovated with unique body styling and an entirely singular integrated load area. The model’s name would over the years become synonymous with the segment benchmark. Berlingo was renewed in May 2008. The second-generation model featured the same comfort and features as saloons, as well as more prestige for professional customers. A facelifted Berlingo was revealed in spring 2015 at the Geneva Motor Show. In 2016, in a nod to the birthdays of 2CV Van, celebrating its 65th, and Berlingo, celebrating its 20th, Citroën created two special models for the Colette store, 2CV Van Colette and Berlingo Colette, which have become true collector’s items! The design of Citroën Berlingo has already changed substantially since 1996, but today it is moving into a new era. In its appearance, New Citroën Berlingo makes a true generational leap and moves decidedly upmarket. Robust and protective, New Berlingo Van gains modern and vivacious exterior styling with flowing lines, free of aggression, and assumes a strong character and assertive personality through its well-balanced proportions. The teams of Alexandre Malval, Director of Style at Citroën, have designed a special front end for the LCV version. The expressive and distinctively Citroën front end comprises a short and high bonnet for a commanding view of the road, underscored by wide light units confirming the model’s kinship with its big brother, Jumpy, and differing from those of the PC version, which is already available to order. The whole gives the new model an attractive and robust look. The side styling places the focus on protection and flowing lines and maintains impeccable balance, whatever the vehicle length chosen. The eye is drawn to the large sliding side doors, redolent of practicality through a broad range of configuration and transport possibilities, and which make for more generosity in terms of cabin volume. The flowing styling is marked by consummately worked sides and at the rear, the van keeps its functional appearance and “van spirit” with vertical headlamps and Berlingo monogram. Inside, the cabin has been entirely redesigned. The specifications of the Citroën Style team were simple: in a segment governed by expectations of practicality, make a clean break with the previous Berlingo in terms of design and functionality to create the best possible combination for the model’s new customers. Fully inspired by the Citroën Advanced Comfort® programme, New Berlingo Van gains a modern and uncluttered dashboard, ergonomically positioned and with an emphatic horizontal design. The driver’s station boasts a modern instrument panel, a multifunction steering wheel and a colour head-up display (depending on the version). Procuring a true feeling of robustness, New Berlingo Van also features neat presentation of materials on the dashboard, central console, door and seats. The assembly and trims are intended to be reliable and suitable for professional use. New Berlingo Van’s cabin is also kitted out with TPO floor mats which are easily cleaned. It also can have as an option a wood trim kit (floor and side panels) for enhanced load area protection. An ideal partner for everyday life, New Berlingo Van targets a broad range of professionals and provides a solution adapted to their motoring needs with simplified cabin and loading access. A spin-off of the Brand baseline “Inspired by You” for the world of business, the new Brand baseline “Inspired by Pro” is dedicated 100% to Citroën’s light commercial vehicles. It targets self-employed tradespeople, shopkeepers, local authorities and small companies working in a variety of fields, including construction, deliveries, services and emergency services. New Citroën Berlingo Van responds to the needs of each of its customers by bringing them a complete range adapted to their business requirements. New Berlingo Van is the “bespoke” light commercial vehicle that places a premium on the driver or employee in terms of well-being and practicality and adapts ideally to their profession. New Citroën Berlingo Van meets an extremely broad range of needs. It is a bespoke van which offers versatility and modularity with: different sizes, different cabins and different opening panels and a multitude of storage spaces and record load volume. It also has a loading volume among the best in the segment in Size M and the best architectural efficiency (ratio of usable volume/exterior dimensions) in Size XL. As with the passenger-car version, New Citroën Berlingo Van is available in two sizes, an M version measuring 4.40 m long with a 2.78 m wheelbase and an XL version measuring 4.75 m long with a 2.97 m wheelbase. The XL model is well proportioned in terms of wheelbase and rear overhang. Designed for professionals working as a team and who need to travel together, the Extenso®Cab offers three seats. It can transport three passengers in the front (row 1) with its broader central seat, which can be transformed into a mobile office with a pivoting writing table. The impressively modular Extenso® Cab adapts to all situations and also features a folding side passenger seat providing optimal load length and increasing useful load volume 3,3 to 3,8 m3 in Size M and 3,9 to 4,4 m3 in Size XL. It is also equipped with a range of storage spaces located around the cabin for keeping documents and tools within handy reach. The modular Crew Cab version of New Berlingo Van is intended for professionals who need to accommodate up to 5 persons and to carry large volumes. It is available in an XL version and requires no specific conversion since it is already available directly from the manufacturer. This version of New Berlingo Van gains extra modularity and versatility. According to use, it offers a unique comfort with knee room in row 2 -equivalent to that on the passenger-car version. It is also perfect for transporting long loads, equipped with a folding passenger seat and retractable row 2 and a mobile mesh bulkhead with a flap. The “Worker” version targets professionals who transport equipment and workers. At ease on all work sites, this Berlingo model has three front seats, raised ground clearance (+30 mm), a protective plate under the engine and enhanced traction thanks to Grip Control with Hill Assist Descent. The robust model stands apart with its large wheels (690mm) with Mud & Snow tyres, a plastic-covered floor, extra payload of up to 1,000 kg and a loading Pack including enhanced lighting in the load area, 12V power socket and mid-height load securing rings. The “Driver” version was specially designed for companies and their employees who need to make long trips or numerous deliveries in urban areas. For day-to-day efficiency, this version stands out through its ride comfort, meticulous acoustics and driver assistance systems. It is available with: an acoustic pack, dual zone air conditioning, seats with lumbar adjustment, a rain and light sensor, a cruise control/speed limiter system, electric parking brake, connected radio with an 8” screen, and the original Surround Rear Vision system. New Berlingo Van is available in a variety of configurations, with 0, 1 or 2, sliding side doors. The sliding doors provide optimised opening width for easier loading and unloading regardless of where the vehicle is parked. At the rear, the van is equipped as standard with 60/40 panel rear doors, the smaller door on the right, opening up to 180°. The wraparound rear swing doors increase the perception of width and conceal the hinges. The doors are attractive but also practical, as they provide extra protection against theft. To meet the needs of certain professions, the vans can also be equipped with optional glazed swing doors (60/40, opening up to 180°) with heating windows and wipers on the left-hand side only, or with a glass tailgate with a heating window and wiper. The LCV model also boasts another ingenious solution: a hinged rear roof flap. The generous size of this feature makes for easy everyday use. For transporting long objects such as stepladders or ladders, professionals, including electricians and painters, can use the hinged rear roof flap on New Berlingo Van and drive in complete peace of mind with the doors closed. This option is available only on versions with rear swing doors (it is not available on versions with two sliding side doors and is incompatible with the long versions). The bar supporting the height load has a maximum capacity of 100 kg. Designed from the start with interior comfort in mind, New Berlingo Van scores high on practicality. The ingenious vehicle is equipped with a plethora of ingenious storage spaces at the front for everyday objects, from the smallest (pens, coins) to the largest (15” laptop, folders). There are 113 litre of storage compartments overall, including a drawer under the seat, an upper “Top Box” glove box made possible by the Airbag in Roof system, a lower glove box, an overhead storage unit, various small storage surfaces, large door bins and cup holders. And for the needs of professionals, the cabin is also home to two USB sockets, two 12V sockets and one 220V socket. Thanks to its rear block, a development of the current platform, New Berlingo Van provides a record loading capacity. It allows for a larger payload and retains its width between the wheel arches (1.23 m) in order to easily load up to 2 europallets. New Berlingo Van boasts record load capacity, with a minimum load volume of 3.3 m3 as standard to 4.4 m3 in Size XL and a payload from 650 kg to 1,000 kg. To better respond to the needs of LCV customers, New Berlingo Van is equipped on an exclusive basis with an overload indicator – the very first application of this technology by a carmaker, all segments combined. It informs the user when they approach or exceed the authorised limit in terms of weight. As for the maximum towed load for the model, it is 1,500 kg. With its new modular platform, the new-generation Berlingo LCV benefits from an optimised architecture for more practicality, comfort and safety. It is fitted with modern and intelligent driver assistance and connectivity technologies and with latest-generation engines. Produced at PSA's Vigo site in Spain, New Citroën Berlingo Van is built on a new platform for more agility, spaciousness and practicality, while offering classic Citroën suspension settings. 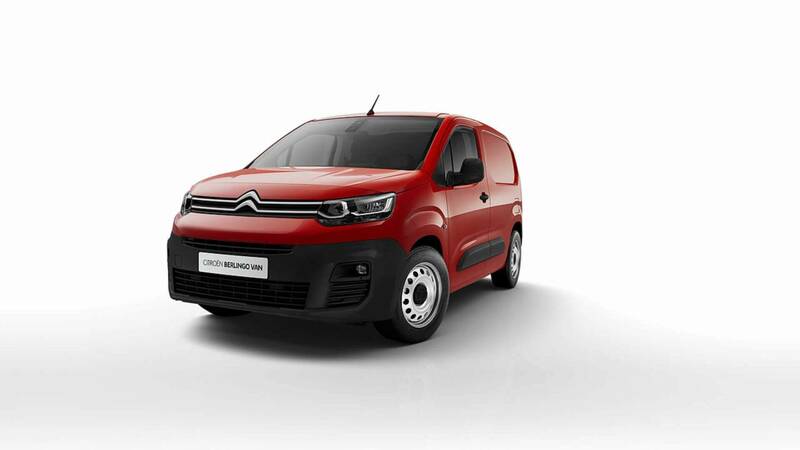 New Citroën Berlingo Van possesses an efficient architecture providing even more functionality. The new model's modular platform is based on the EMP2 platform at the front and the current Berlingo platform at the rear. The platform at the front improves handling with electric power steering and a turning circle ideal for manoeuvres. It also optimises vehicle mass and makes possible the installation of the latest ADAS. Faithful to the Brand's DNA and the Citroën Advanced Comfort® programme, New Citroën Berlingo Van draws on all of Citroën's expertise with suspension settings resulting from Citroën's best know-how in the interest of comfort. Making each journey a moment of serenity for the driver and any passengers, it filters out all road disturbances in all conditions. The peerless on-road comfort of New Berlingo Van results from a comfortable driving position (including for tall people), the comfort of seats (with height adjustment, lumbar adjustment and individual armrest), suspension comfort and soundproofing comfort, with top-level acoustic treatment. For ideal driving comfort in all circumstances, New Berlingo Van is equipped with the “Magic Wash” function that maintains visibility during window washing and halves the amount of liquid required. A further advantage of the new model lies in its following assistance systems to reduce mental workload of the driver. New Citroën Berlingo Van is functional and practical but also extremely reassuring. Fully in step with its times and seeking to bring professionals a safer and more serene drive, the new model is packed with highly useful technologies. New Citroën Berlingo Van provides motorists with consummate comfort and safety through major innovations. Overload indicator: This innovative built-in function informs drivers when the maximum authorised load is exceeded, be it technically permissible maximum laden mass or technically permissible mass on each axle (front and rear). The objective is three-fold: to prevent overload risks and on-road risks stemming from tyre blow-out or premature wear, to meet customer expectations on safety, and to avoid the risk of a fine for exceeding the load limit. The measurement of the load weight is triggered in two ways: when the engine is started, automatically, or parked, by pushing on the button located in the load area. The system remains active for five minutes. -Rear view monitoring: provides a visual aid in the axis of the vehicle. Colour head-up display: a system that provides the driver with useful driving information in their field of vision. Projected in colour on a retractable surface, this information (speed, guidelines of the cruise control and speed limiter, changes of direction of the navigation system) is constantly available to the driver without them having to look away from the road. Automatic electronic parking brake: a system that automatically clamps when the engine is stopped, automatically unclamps when the vehicle moves forward (activated by default) or manually by a pull on the control paddle. Activ Lane Departure Warning system: a system that, by means of a camera which recognises continuous or discontinuous lanes, detects the unintentional crossing of a longitudinal ground marking on traffic lanes. Whenever the system identifies a risk of unintentional crossing, the steering gradually goes in the opposite direction to keep the vehicle in its initial lane. An indicator light flashes during the correction time. If the driver wishes to maintain the vehicle's trajectory, they can prevent correction by holding the steering wheel firmly (for example, during avoidance manoeuvres). Correction is interrupted when the direction indicator lamps are activated. The system functions at speeds between 65 km/h and 180 km/h. Driver Attention Alert: alerts drivers in the event of decreased vigilance. The system assesses the driver’s alertness by identifying trajectory anomalies in relation to road markings using a multi-function camera at the top of the windscreen. The feature is especially suited to fast lanes, at over 65 km/h. Coffee Break Alert: a system that tells drivers when it is time to take a break after they have driven for two hours at speeds above 65 km/h. Extended trafic sign recognition and recommendation: a system that automatically detects and reads certain road signs, including speed limit and end of speed limit signs using the multifunction camera at the top of the windshield. The image on the detected sign and the authorised maximum speed detected by the camera are displayed in the 3.5-inch colour matrix on the instrument cluster and on the head-up display surface. The information is updated when a driver passes a speed limit sign (no entry road sign, no overtaking ban) and the system also takes account of the speed limit information in the mapping of the navigation system. Blind Spot Monitoring System: a system that warns the driver if a vehicle is present in their blind spot, using a light in the door mirrors. Distance Alert: this system warns drivers that their vehicle is at risk of colliding with the vehicle in front or a pedestrian on the road. If the risk of a collision is detected, a sound and visual signal is activated. Active Safety Brake: this emergency braking system limits the risk of minor accidents. It operates at speeds above 5 km/h for fixed and moving objects, and for pedestrians. If the driver does not react, the system brakes the vehicle automatically. Intelligent Beam Headlights: a system that automatically activates high- and low-beam headlights at night depending on the lighting conditions and surrounding traffic. Cornering Light Function: a system that functions dependent on the steering wheel angle and above 40 km/h. The left or right fog lamp activates in addition to the main headlamp to illuminate up to 75° the angle to the right or left of the vehicle. Keyless entry and start: a system that enables the driver to lock, unlock and start the vehicle without using a key. The car recognises the driver as they approach the front door handles or boot with their hands. Side Park Assist: informs the driver of the proximity of objects to the side of the manoeuvring vehicle by memorising the data recorded by sensors located in the front and rear bumpers combined with the vehicle trajectory. Reversing camera: warns drivers of obstacles near the vehicle via visual and audible feedback. Trailer Stability Control: on vehicles equipped with a coupling device (factory option), New Citroën Berlingo incorporates a trailer stabiliser. This additional ESP function detects trailer rocking movements, acts on the brakes to stabilise the trailer and, if necessary, reduces engine power to slow the vehicle down. It detects the towed object when its electric connection is hooked up to the vehicle. Grip Control with Hill Descent Assist: providing grip in all conditions, Grip Control adapts the traction of the front wheels to the type of road surface. Drivers simply select one of the 5 modes from the special dial located on the centre console (Standard, Snow, Mud, Sand, ESP OFF). Combined with Grip Control, Hill Assist Descent maintains the car at a reduced speed even on steep inclines. The technology keeps the vehicle on the right trajectory while limiting the risk of slippage or acceleration as it descends slopes, in forward or reverse gear. 4 connectivity technologies .New Citroën Berlingo Van also ensures comfort and well-being through digital continuity on board, so that professionals can stay connected with their customers and colleagues at all times. Mirror Screen Function with Android Auto, Apple Car Play™ and MirrorLink®: for enjoying smartphone apps on the 8-inch tablet in complete safety. Citroën Connect Nav: a latest-generation 3D connected navigation system with a host of advantages. Combined with an 8-inch tablet with a capacitive screen requiring the lightest of touches, this system also boasts voice recognition for controlling navigation, phone and media functions without taking one's eyes off the road. The system comes with connected services such as TomTom Traffic, for real-time traffic info, service-station and car-park localisation and prices, weather information, and a local point-of-interest search function. Danger Areas (optional). Citroën Connect Box with the SOS Pack and assistance included: an emergency geolocation call and assistance service. In the event of an accident or any other situation that requires urgent assistance, it calls out the appropriate assistance either automatically or when the user presses the "SOS" button inside the car. Available 24/7, the service is free. For even greater peace of mind, customers can also contact the support switchboard by pressing and holding the “Double Chevron” button. Wireless smartphone charging with a special charging station. This all-new system can be used to induction charge a wide range of smartphones or devices compatible with the Qi standard with a charging mat built into a dedicated storage space in the central console. The system does away with the need for physically and aesthetically troublesome cables. Wireless electric energy transmission is based on the principle of magnetic induction. This third LCV generation is a dynamic on-road performer and brings professionals true at-the-wheel pleasure and an optimised cost of use. Performance has been upgraded through the combination of a new light-weight platform and latest-generation fuel-efficient engines with low CO2 emissions. New Berlingo Van is available with the PureTech 1.2 petrol engine and the BlueHDi 1.5 diesel, adapted to all uses, both in the city and out on the open road. The engine range respects the environment and delivers top-flight performance and controlled real-life fuel consumption. It is also equipped (depending on the engine) with the new-generation EAT8 automatic gearbox for enhanced driving pleasure over all distances. Designed and developed in collaboration with the Japanese specialist Aisin, the eight-speed “Efficient Automatic Transmission” gearbox (with steering wheel paddles for manual gear changes) is both intuitive and seamless. In everyday use, it offers improved driving comfort and smoother gear shifting, made possible by optimised exchanges of torque between the engine and gearbox; the transition to eight speeds helps reduce the jump between gears at each gear shift. Why not combine practicality with pleasure, feel that delight every time you drive, why not optimise your time, guarantee your safety and feel sure that your vehicle is rugged enough to withstand any test … this is exactly what new PEUGEOT PARTNER provides to all professional clients in the LCV segment. New PEUGEOT PARTNER, which includes the PEUGEOT i-Cockpit® as standard, an unprecedented move in this vehicle segment, offers a new driving experience and a setting that is conducive to productivity. PEUGEOT is revolutionising the LCV segment with a relevant, dynamic and generous market offering, the perfect balance between convenience and drivability - the Brand's hallmark. With its dynamic design, New PEUGEOT PARTNER is not only practical and elegant - it features an unparalleled range of driving aids that, to date, have only been seen on the latest saloon vehicle generations. 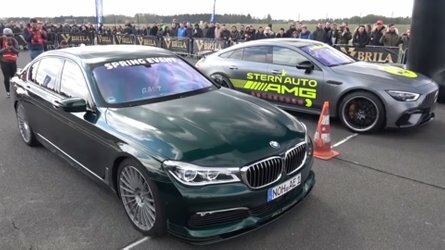 Two major original innovations are featured for the first time: Overload Alert and Surround Rear Vision, which provides blind angle camera vision. New PEUGEOT PARTNER offers a stimulating, stress-free mobile office; the dimensions are perfectly in line with the market segment, it is exceedingly comfortable and the payload area is even more practical and versatile than ever. No matter what your profession, you will find the right configuration to enable you to work effectively: just look at the Grip version, which meets a need for ruggedness in all circumstance or the Asphalt version for those of you who do not count the time spent behind the wheel. 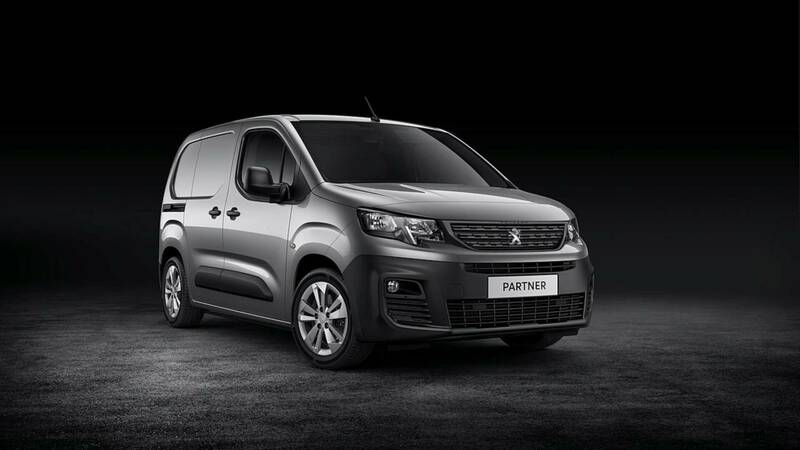 New PEUGEOT PARTNER is at the heart of the entrepreneur mentality; it boosts your capacity to deliver results and makes it possible to go far beyond what might have previously seemed impossible. Unheard of in the LCV segment! The first impression of new PEUGEOT PARTNER's interior is immediately compelling, the finish is in every aspect equal to that of a passenger vehicle. It is fitted with cutting-edge technology which is conducive to a stimulating, instinctive and safe driving experience. "New PEUGEOT PARTNER renews a 20-year history of ruggedness and quality as confirmed by professional users. Following our recent launch successes, our SUV offensive with PEUGEOT 2008, 3008 and 5008 and following the lead of New PEUGEOT RIFTER, we had to have the same ambition for our LCV vehicle design - i.e. disrupt the market with innovative and unprecedented equipment ! This is why the iconic PEUGEOT i-Cockpit®, so loved by our clients, is fitted as standard on New PEUGEOT PARTNER. This high-end, rewarding vehicle provides the user with a veritable mix of practicality and pleasure." PEUGEOT i-Cockpit®, of which over 4,000 000 units have been sold, is now being fitted on a commercial vehicle for the first time. Compact, double D-style steering wheel for improved grip and manoeuvrability - handling is swifter and less tiring and ten times more pleasurable! A head-up display available as standard to enable essential information to be received by the driver whilst he is still able to maintain his eye on the road, which is a guarantee of safety and comfort. An 8" capacitive touch screen located in the centre of the dashboard in line with the driver's vision providing direct and permanent access to key comfort functions - radio navigation, vehicle settings, telephone, etc. No longer do you need to choose between protecting vehicle contents and visibility! This new system is a precious driving aid; it provides a view of the areas around the vehicle. The driver therefore enjoys optimum exterior visibility from inside the vehicle, thus facilitating driving and vehicle manoeuvring. A rear view to facilitate manoeuvring in warehouses, congested sites or in urban environments. The images are displayed on a 5’’ screen located where the interior rear mirror normally sits and provides a close view of the immediate environment for improved reactivity and optimum safety. New PEUGEOT PARTNER has generous load capacity and payload; it is also fitted with an overload alert system - a really new on-board technology to guarantee total safety in all circumstances. The process is simple and effective - the mass is automatically measured when the ignition is switched on; it can also be measured from the load area when the vehicle is stationary by means of a specific control located in the load area. Once 90% of the total load capacity has been reached, a white LED lights up on the control button; if the maximum authorised load is exceeded a yellow LED lights up, supplemented by a visual warning on the dashboard. This practical and effective system is a guarantee of vehicle safety. By avoiding vehicle overload, all risk of downgraded road handling and associated dangers is avoided, such as tyre burst, loss of control of the vehicle, premature wear, higher fuel consumption and the risk of being fined. Unprecedented and unique in all segments of the LCV market, this equipment is available as an option. CUTTING-EDGE TECHNOLOGIES - GET CONNECTED! Electric parking brake. Not only is it easy to use, in addition the space freed up by a conventional handbrake is utilised to provide a large storage area or a larger sear for the 3-seater version. Adaptive cruise control maintains the programmed speed and adapts the distance from the vehicle in front accordingly. Total vehicle stoppage is possible if the 8-speed automatic gearbox is fitted. The extended traffic sign recognition system recognises and displays the traffic sign and the maximum authorised speed is proposed to adapt the speed limited and cruise control system. Active Lane Keeping Assist corrects the vehicle course in the case of a drop in the driver's attention level. 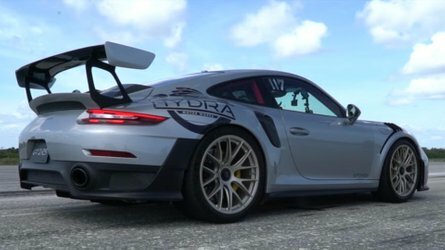 Driver attention warning using a camera monitoring system which is based on steering wheel movement analysis. An audible and visual working is given when a drop in driver attention is detected.. Active Safety Brake is deployed if a risk of collision is detected. A tow-bar stabiliser stabilises a trailer by neutralising lateral movements and slowing down the vehicle, if necessary. Blind spot monitoring, with a warning in the door mirrors. A large 8" colour touch screen provides connectivity. Located within easy reach and tilted towards the driver, it comes with two USB sockets, one Jack socket, Bluetooth and a wireless smartphone charger. The system is supplemented by Mirror Screen that is compatible with Mirror Link®, Apple Carplay™ and Android Auto™. The connected 3D navigation system features voice control enabling points of interest to be found in a simple and intuitive way. It takes into account real-time traffic conditions (TomTom Traffic). It can display car-parks, service stations and the local weather forecast. To further improve user safety, the 3D navigation system is accompanied by PEUGEOT Connect SOS and Assistance. In the event of an accident, PEUGEOT Connect SOS raises the alarm, geo-locates the vehicle and contacts emergency services, if necessary. PEUGEOT Assistance puts the user in touch with PEUGEOT Assistance, which, based on the information communicated (geolocation, vehicle chassis number, mileage and mechanical warnings flagged up by the on-board computer) can then send a recovery vehicle. The Monitoring Pack informs the user of the maintenance operations to be conducted by means of alerts in his personal space in MyPeugeot. The Tracking Pack geo-locates New PEUGEOT PARTNER in real time and assists the police in the event of theft. The Connect Fleet Management Pack monitors mileage covered depending on the hours of use, an accurate assessment of fuel consumption and the associated cost and real-time monitoring of the service intervals. The Eco-drive Pack adds driving analysis with customised advice for the driver. The Geolocation Pack offers real-time vehicle tracking, indicating the routes taken and vehicle down-time. It is possible to programme a specific zone to be respected with an alert being sent in the case of non-compliance. A commercial vehicle is a real means of mobility that also conveys an image and this is why particular care has been taken to ensure that New PEUGEOT PARTNER reflects a dynamic and assertive image. It continues the styling codes seen on New PEUGEOT RIFTER and so fits perfectly into the current PEUGEOT vehicle range. The front end is classy, modern and robust with its Lion sitting in the centre of a vertical grill that enhances the powerful headlight design. The profile reflects all the force of its style. The lines are perfectly balanced with a short, horizontal bonnet, a high waistline and shorter overhangs. The bevel-cut design featured symmetrically on the front and rear ends shape the sides with a new body-line style. At the rear, the angular bumper gives force to the lower section and provides optimum protection. The hinged wide-span doors underline the vehicle's rugged nature and constitute an extra protection against theft from rear compartment. A tailgate option is also available.. The interior design reflects Peugeot's passenger vehicle range: ergonomic yet elegant. The style is chic and discrete, the space is both ergonomic and versatile, incorporating countless storage solutions for perfect functionality combined with unparalleled sturdiness. Inside the vehicle, the eye is immediately drawn to the dashboard which includes the PEUGEOT i-Cockpit® where everything is within easy reach, to enable the driver to concentrate on the road and enjoy an intuitive, dynamic driving experience. Vehicle upkeep has not been forgotten, with rubber floor mats available as standard on certain versions..
"The EMP2 delivers an extremely high performance level, but it also has enabled us to produce a strong, dynamic and robust design. The new morphology has led to shorter overhangs for better manoeuvrability, a higher bonnet for greater rigidity and an optimised architecture to provide an interior that is both practical and modular." When you spend a long time in your vehicle, acoustic comfort is of prime importance, which is why special attention has been paid to this aspect, the outcome being a level of acoustic comfort that has never before been achieved for vehicles in this segment. Thanks to the care taken over on-board comfort, thanks to the vehicle's excellent handling and ease of use, New PEUGEOT PARTNER enriches professionals' lives by offering a new driving experience mingling pleasure and freedom. The fundamental needs of professional users were the main focus when we developed New PEUGEOT PARTNER : optimum functionality under all circumstances. The dimensions are perfectly in line with the segment, with a length of 4.40m for the Standard version ensuring an optimum effective usable length of 1.81m. With a capacity ranging from 3.30m3 to 3.80m3 depending on the version, this is sufficient to accommodate 2 Europallets. The Long version, which is 4,75m long (+35cm). provides even greater load capacity. The effective length of this version is 2.16m and a load capacity ranging from 3.90m3 to 4.40m3. New PEUGEOT PARTNER is built on a version of the EMP2 platform that is used for the latest brand models. This tried-and-tested base enables shorter overhangs and a small turning circle for easy manoeuvring: the kerb to kerb turning radius is only 10.82m for the Standard version and 11.43m for the Long version. The payload is one of the best in the segment, with values of 650kg up to 1000kg for certain versions, both Standard and Long. The very low fuel consumption versions have a 600kg payload. Six anchoring rings are provided as standard to ensure that your loads are safely secured. As an option, four more half-height rings may be added. The loading area is easy to use in all circumstances as it contains a 12V socket and superior lighting with 6 LEDs providing an output of 237lm. The optional sliding side doors make for excellent accessibility, the wide-span hinged doors (2/3 – 1/3) provide a huge aperture (tailgate option) and a ladder hatch located just above the rear doors enables long objects to be transported. Three people can sit in the front. This practical feature is very much appreciated by professionals as they can transport both their teams and their tools and optimise their travel. The absence of the conventional handbrake lever makes it possible to widen the centre seat..
A flat roof, 500 l more load capacity and an effective length of up to 3,09 m for the Standard version and 3,44m for the Long version, thanks to the fold-down side passenger seat. Transportation of long objects thanks to the side seat base which folds up against the seatback. A mobile office, thanks to the writing table integrated in the fold-down central seat back. This has now been optimised and can be tilted either towards the passenger or the driver. A padlocked storage area underneath the central seat..
For the first time, New PEUGEOT PARTNER is offering a cowl cab factory option on the Long version. The rear bench seat is carried over from New PEUGEOT RIFTER, providing real comfort and record legroom for the segment. Another unique feature in the category is that row 2 seats can be folded down to accommodate large loads and the row 1 passenger seat can be retracted to provide space for long loads. With a capacity of up to 113L, storage solutions have been designed for multiple professional usage needs. They are always to hand and cleverly distributed throughout the passenger area - glove box, seat pockets and even an upper glove box. Located opposite the passenger, it uses the space normally taken by the airbag (now a Bag-in Roof airbag) and is big enough to house a 15" computer, and it can be cooled. A cable grommet has been added to the box to enable a computer to be left on charge. The work that has been conducted on the vehicle architecture and on weight optimisation is key to reducing fuel consumption and CO2 emissions. The engine range is extremely efficient. l The all meet the most recent standards and are ready for the upcoming WLTP certification. PureTech 110ch S&S with manual six-speed gearbox. PureTech engines are fitted with a Gasoline Particulate Filter to reduce particle emissions. BlueHDi 75ch, awith manual five-speed gearbox. Diesel engines are all fitted with a FAP particle filter and a selective catalytic reduction system (SCR). This technology reduces emissions as soon as the ignition is switched on and does not require any additive. In addition to the standard finish levels, for the first time, New PEUGEOT PARTNER is offering "ready-to-go" versions for certain specific use profiles. All options can be added to supplement these versions, thus ensuring that the needs of all professionals are met. Last but not least, a full conversion range is planned with our partners: emergency and assistance vehicles, specific building sector vehicles, pick-up, refrigerated vehicles, 4x4, etc. Whatever your requirements, New PEUGEOT PARTNER has the right answer! New PEUGEOT PARTNER will be marketed internationally as from November 2018.